Covering portrait-length to telephoto perspectives, the matte black Lumix G Vario 45-150mm f/4-5.6 ASPH. MEGA O.I.S. 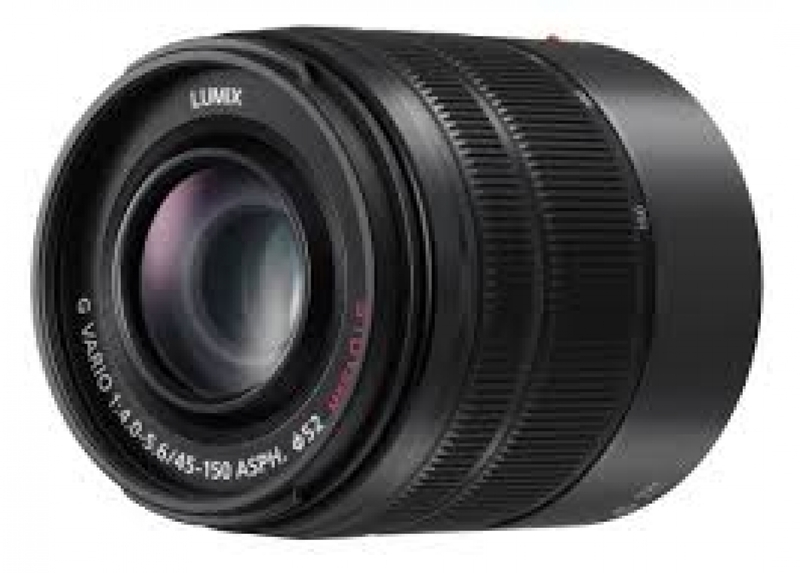 Lens from Panasonic is compatible with Micro Four Thirds mirrorless cameras and provides a 90-300mm equivalent focal length range. One UHR (Ultra-High Refractive Index) element pairs with two aspherical elements to reduce chromatic aberrations and distortions for consistent edge-to-edge sharpness and illumination. Multi-coatings have also been applied to individual elements to reduce lens flare and ghosting for increased contrast and color fidelity in harsh lighting conditions. Complementing the imaging capabilities, this lens also features a stepping motor for fast and quiet autofocus performance that benefits both stills and movie shooting. Additionally, MEGA O.I.S. (Optical Image Stabilization) minimizes the appearance of camera shake for sharper imagery when shooting handheld in difficult lighting conditions. Stepping motor provides smooth, near-silent autofocus that is compatible with Lumix cameras&apos; high-speed contrast-detection systems.